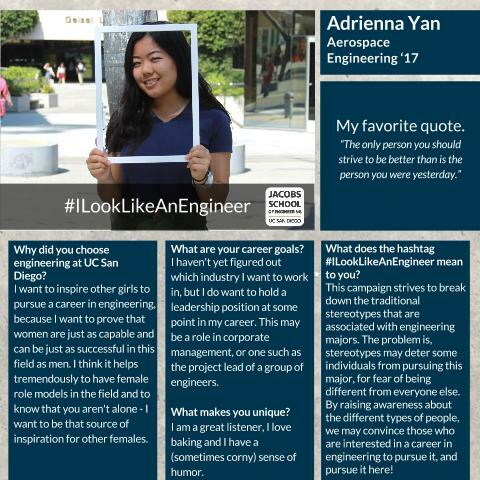 Meet Adrienna, the next student of our #ILookLikeAnEngineer campaign! Why did you choose engineering at UC San Diego? 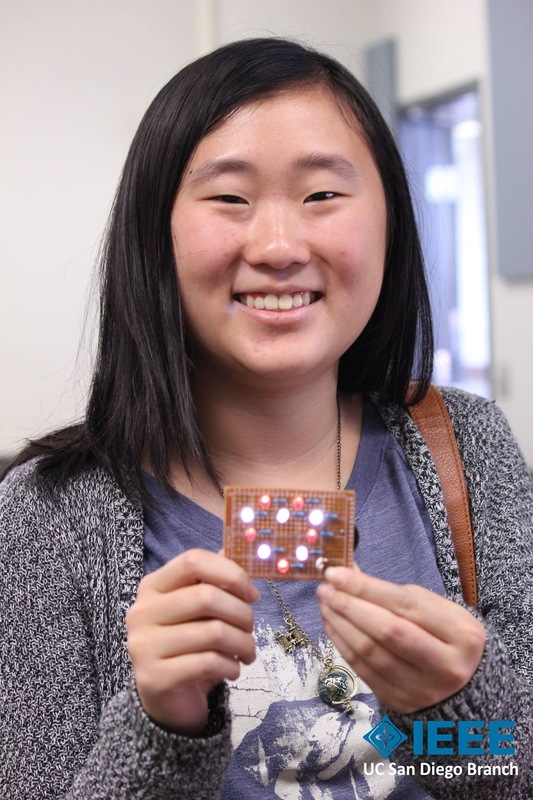 I want to inspire other girls to pursue a career in engineering, because I want to prove that women are just as capable and can be just as successful in this field as men. Moreover, I want to show that there is nothing to fear in a (currently) male-dominated field. I think it helps tremendously to have female role models in the field and to know that you aren't alone - I want to be that source of inspiration for other females. I haven't yet figured out which industry I want to work in, but I do want to hold a leadership position at some point in my career. This may be a role in corporate management, or one such as the project lead of a group of engineers. Do you have a favorite quote or mantra? Yes! My mantra is "The only person you should strive to be better than is the person you were yesterday." What are three things that are unique about you? a) I am a great listener. c) I have a (sometimes corny) sense of humor. What does the #ILookLikeAnEngineer campaign mean to you? 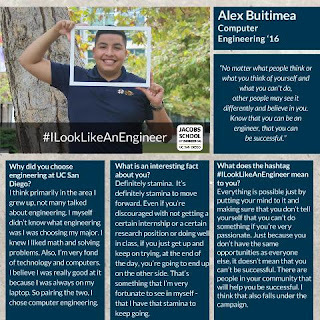 This campaign strives to break down the traditional stereotypes that are associated with engineering majors. One stereotype would be that all aerospace engineering students are caucasian males. 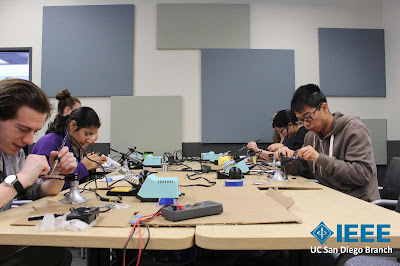 However, the aerospace engineering student body at UC San Diego is made up of individuals, including both males and females, who come from a variety of ethnic backgrounds. Another stereotype is that engineers are often quiet, shy and boring. However, I know a great many who are sociable, friendly and outgoing. Not all engineers like hiding in their rooms - we like to go out and can mingle and associate with the rest of our peers as well as anyone else! The problem is, stereotypes may deter some individuals from pursuing this major, even if it is something they are interested in, for fear of being different from everyone else and/or for fear of feeling isolated. By raising awareness about the different types of people that make up UC San Diego's engineering student body, we may convince those who are interested in a career in engineering to pursue it, and pursue it here! As president of UCSD's Society of Hispanic Professional Engineers (SHPE), Alex wants to empower the Hispanic community. He loves soccer and problem-solving, and he also cares deeply for underrepresented regions and hopes to develop technology for education. I think primarily in the area I grew up, there’s not many engineers. Not many talked about engineering. 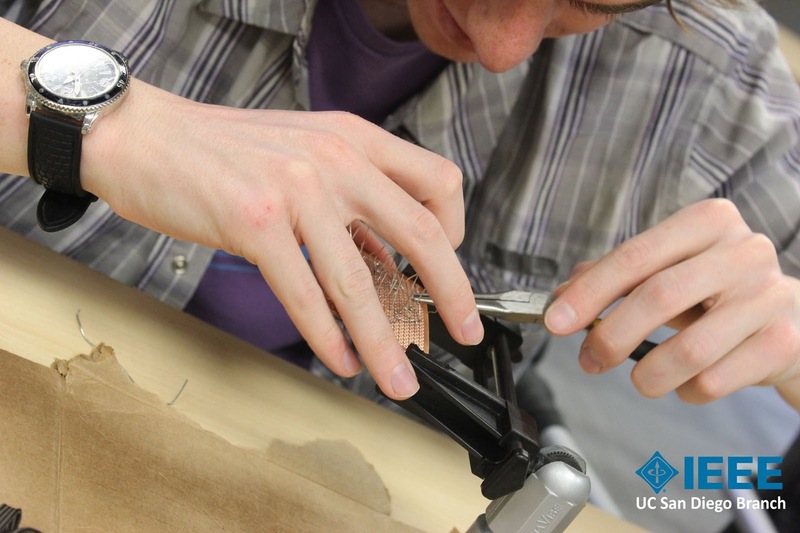 I myself didn’t know what engineering was until the last year when I was choosing my major. I knew I was good at math and I knew I liked solving problems, but I didn’t know that what the the meaning of engineering was— solving problems. Obviously, not knowing what path I was going to take but knowing I wanted to something like that, that’s why I ended up choosing it. I’m very fond of technology, I’m very fond of computers. I was really good at it, I believe, because I was always on my laptop. So pairing the two, I chose computer engineering. I knew this was a good engineering school. What do you see yourself doing in the future, goals after school? Many people have been asking me this, especially recruiters. I always tell the same thing: I don’t know. I learn by experience. You know, trying out different things, you get to learn what you’re actually passionate about. I always tell all our members in SHPE, it’s okay not to have a passion, it’s okay if you don’t know your goal, but just by letting yourself try different things, you’re going to find what you’re passionate about and what you think you’re good at and what you should actually keep doing. So I know I want to go into industry because I really like the atmosphere of working with other people, especially where you get to solve problems that are actually going to go into the world and out there, into things people are actually going to purchase. I think I want to go into industry for that same reason. I can start working and teams and put stuff out there. Do you see yourself with a specific company? Or do you have a dream job, beyond practicality? It always brings me back to where I grew up. In the San Fernando Valley, there’s not many opportunities. You rarely hear about engineering. Schools are not that great. But one thing that technology does for them is it provides them new opportunities to teach in different ways. It also encourages students to pursue STEM, so I knew my freshman year, I wanted to pursue computer engineering more on the side of building technology for education, such as building smart boards, things like that. 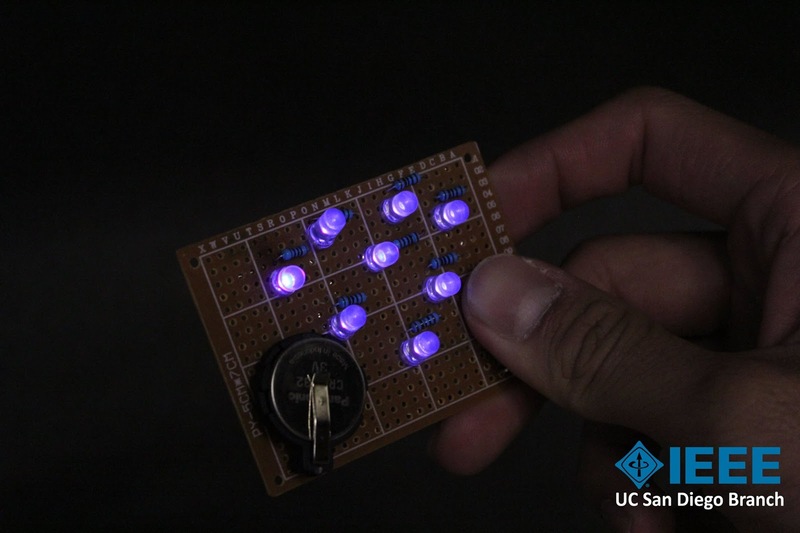 Building devices that actually help students learn better, so I think I want to follow that path. I know Microsoft and Google are doing big things along that path. If I can be involved with a company that has that kind of sector or project for education, I think I’ll follow that. If you weren’t in engineering, what do you think you’d be doing? I honestly don’t know what I’d be doing other than engineering. I really like solving problems, and that’s exactly what engineering is. If I were to do something else, I’d probably be a contractor. Throughout high school, I worked with my dad in demolition, so I would work at job sites, demolishing houses and bringing metals apart. His dream has always been to have his own company, and he’s been doing this for the past four years. I’ve been helping him. In the situation he’s in right now, he can’t be the owner or manager so he’s always asking me if I’d be willing to do it. After all these years helping, I think I would do that, being a contractor. What are three interesting facts about you? 1) My passion for turning technology to education. I respect working with other people on teams, and I respect their ideas and strengths as well. That’s one of the reasons I chose to be the president of our [SHPE] chapter. I was going to be working with eleven other students to move that chapter forward. 2) Respecting people and working on teams. 3) Definitely stamina. I played soccer in high school and now on an intramural team. It’s definitely stamina to move forward. Even if you’re discouraged with not getting a certain internship or a certain research position or doing well in class, if you just get up and keep on trying, at the end of the day, you’re going to end up on the other side. That’s something that I’m very fortunate to see in myself, that I have that stamina to keep going. Would you say you have a favorite quote along those lines? Or something you live by? I always like to work with teams. One thing I always stay is “If you could do something in under two minutes, just do it now.” At one of my internships, one of my co-workers would always lived by that. It just clicked with me. Why wait? Keep moving forward. Also, if you could say you can do things differently and say that you’re working hard...Working hard is not enough. It’s working smart, making sure that the amount of time you’re putting in is smart. Make the right decision about how you’re spending time. I like spending time with my friends and I play soccer on the weekends. I’ve been playing soccer for twelve years, the first seven years I played defense and the past five years I’ve played right midfielder. I also play video games, and that’s weird because I played no video games until my third year of college. I have an xbox, but I also play League of Legends. What does this campaign mean to you? Any specific opinions? Primarily, the campaign also falls under our [SHPE’s] objective, which is to empower the Hispanic community to realize its fullest potential. All STEM majors. Everything is possible just by putting your mind to it and making sure that you don’t tell yourself that you can’t do something if you’re very passionate. Just because you don’t have the same opportunities as everyone else, it doesn’t mean that you can’t be successful. We make sure that people don’t think that way. There are people in your community that will help you be successful. I think that also falls under the campaign. No matter what people think or what you think of yourself or what you can’t do, other people may see it differently and believe in you. Know that you can be an engineer, that you can be successful. I grew up in a social justice community. It was good and bad. I grew up with my principal as also my life mentor. He was very passionate about how anything is possible. 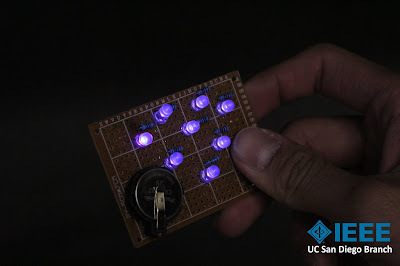 I put my own spin to it, by empowering the community with STEM. 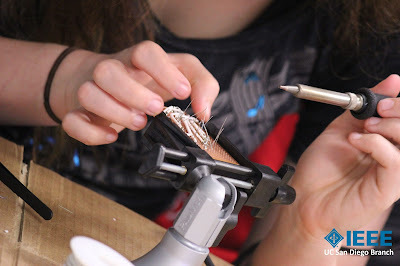 Making sure that we go into STEM fields, that we go in and explore and solve problems. I’m actually taking a course in ethnics and work. You’d be surprised how much diversity helps with solving problems and how having a diverse team— not necessarily just a matter of being Hispanic or black. Having people who think differently will actually help you solve a problem much better than having people who all think the same. 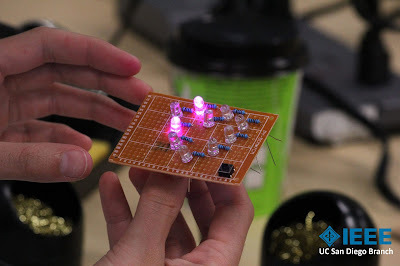 In honor of Valentine's Day, UC San Diego's IEEE branch recently held a soldering workshop in which students constructed small circuits of LEDs in the form of a heart. Check out the designs below! 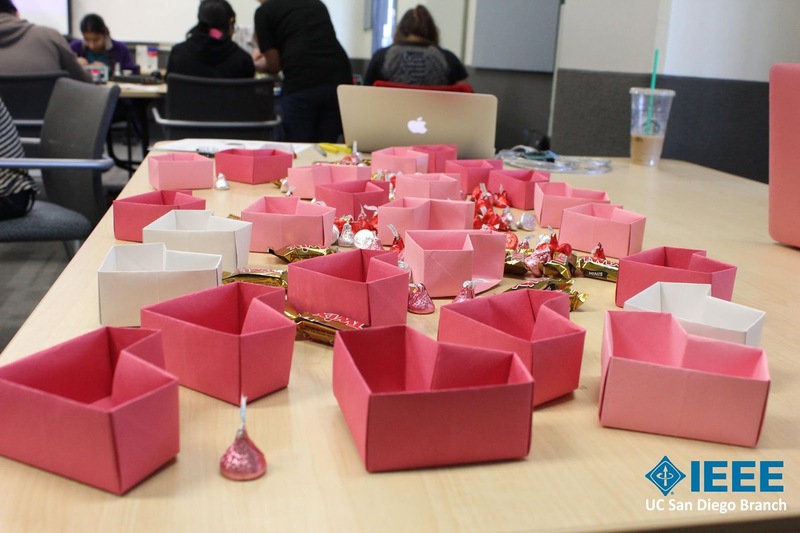 As president of the Biomedical Engineering Society (BMES) (and barista!, our next featured student is making an impact at UC San Diego. Bioengineering at UC San Diego is a nationally top ranked program. I’m lucky to be here honestly, surrounded by others who are as passionate as me about our major. 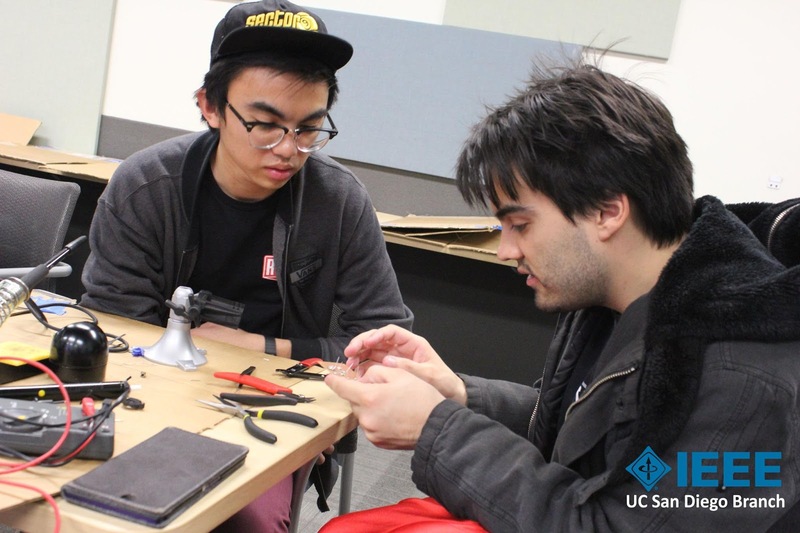 I think the success and accomplishments that have come from fellow engineering students here is contagious – they motivate you to want to be a better student and person. Also, I chose UC San Diego because we have the most beautiful city and beaches! I’d like to work in industry for a few years to get some work experience and see what else is out there. I would like to go back to school to get my Masters, and then go from there. I’ve always been kind of stuck on the phrase, “Just breathe”. Sure, it’s a bit cliché. But I’ve grown to find that college and life in general can get overwhelming at times. It’s easy to lose yourself in everything that you do, and in the people that surround you. Sometimes you just have to take a step back and look at the bigger picture, relax, and realize that there’s more to this lifetime than whatever is right in front of you. 2) I love live music and going to concerts. It’s a whole different experience than just listening through your headphones everyday. 3) I'm a sucker for the beaches here in San Diego. I love just driving up and down the coast, looking for hidden beaches or places to explore. What does this campaign mean to you? 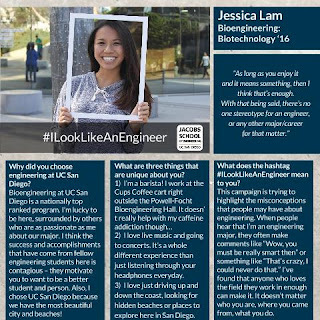 I remember when back in high school when I was first accepted to UC San Diego’s Bioengineering program, all of my friends just asked me: “So… what does a bioengineer do?” At the time, I wasn’t able to give them a full flushed answer; I had no idea what I even wanted to do. 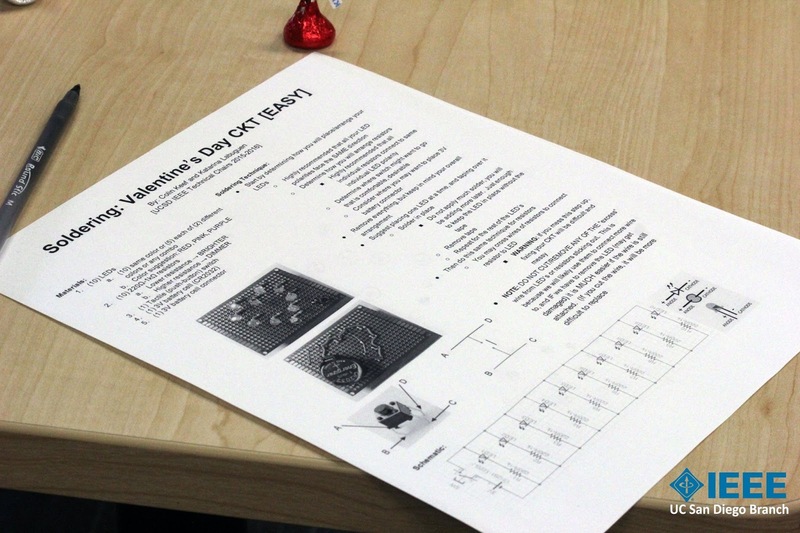 How was I supposed to explain what it means to be a bioengineer? I knew I liked math and science, and I was pretty good at both subjects, but that was kind of it at the moment. I was a straight A student, and I felt that I was almost pressured to pursue a major that was prestigious. But because of that, I almost felt a bit ashamed almost that I was going to hopefully be an engineer one day and I couldn’t express at the time what it means to me today. To this day, I still struggle sometimes fully being able to encompass what it means to be an engineer. But when I really think about it, I’m proud to be one. Engineers are solving the problems of the future, helping people through the advancements of technology, and they’re just like anyone else. To me, this campaign is really trying to highlight the misconceptions that people may have about engineering. A lot of times, when people hear that I’m an engineering major, they make comments like “Wow, you must be really smart then” or something like “That’s crazy, I could never do that”. I’ve found that anyone who loves the field they work in enough can make it. It doesn’t matter who you are, where you came from, what you do. As long as you enjoy it and it means something, then I think that’s enough. With that being said, there’s no one stereotype for an engineer, or any other major/career for that matter. So if I could now answer the questions that my friends in high school asked me, I will tell them this: It doesn’t matter what a bioengineer does, or what they can do. It doesn’t even matter if I were any other major. I don’t need to follow any stereotype that an engineer has to be a certain type of person. What matters is that I’m pursuing something that I am truly passionate about, and I hope I can radiate that energy to other students and motivate them enough to continue doing what they love doing. Meet the next student with our campaign who hopes the hashtag #ILookLikeAnEngineer will inspire peace of mind and positive change. 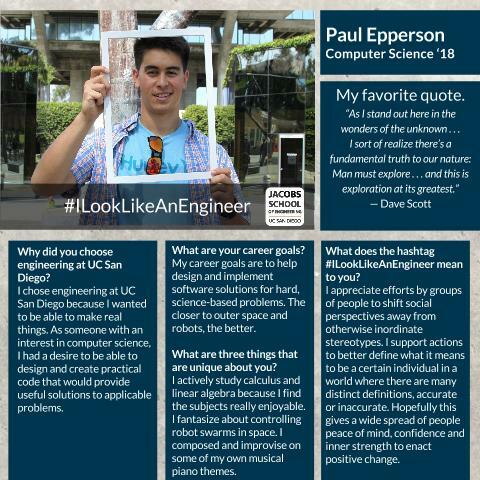 I chose engineering at UC San Diego because I wanted to be able to make real things. As someone with an interest in computer science, I had a desire to be able to design and create practical code that would provide useful solutions to applicable problems. My career goals are to help design and implement software solutions for hard, science-based problems. The closer to outer space and robots, the better. "As I stand out here in the wonders of the unknown . . . I sort of realize there’s a fundamental truth to our nature: Man must explore . . . and this is exploration at its greatest." - Dave Scott, becoming the 7th person to step on the moon. I actively study calculus and linear algebra because I find the subjects really enjoyable. I fantasize about controlling robot swarms in space. I composed and improvise on some of my own musical piano themes. I appreciate efforts by groups of people to shift social perspectives away from otherwise inordinate stereotypes. I support actions to better define what it means to be a certain individual in a world where there are many distinct definitions, accurate or inaccurate. Hopefully this gives a wide spread of people peace of mind, confidence and inner strength to enact positive change. When he doesn't bodysurf, S. Gill Williamson focuses on providing free educational materials for CSE 20 and CSE 21. The former chair of the Department of Computer Science and Engineering, now in his 70s and an emeritus, was profiled in This Week @ UC San Diego as part of a feature about faculty members who have been connected to the campus for 50 years or more. 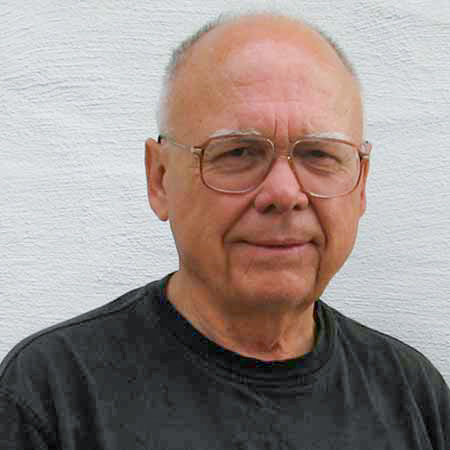 Williamson joined UC San Diego as a professor of mathematics in 1965 and then became the chair of the computer science department in 1991. He retired in 2004. 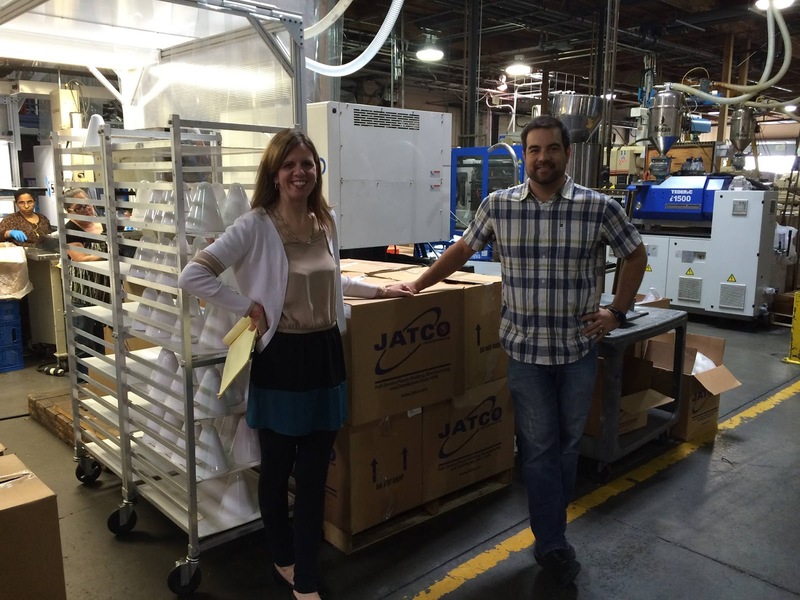 San Diego entrepreneur Karen Kart, in the facility where her tantrum-proof plate is being manufactured. A tantrum-proof plate for toddlers that Jacobs School students helped design and develop is now being manufactured and is set to hit store shelves in April. The plate, named Adi, is the brainchild of San Diego attorney and entrepreneur Karen Kart. Kart reached out to Teaching Professor Nate Delson first in 2009 and then again in 2012. Delson assigned teams of seniors to work with Kart both times. The four students who worked with her in 2009 now have their name on a patent for the plate’s suction base and quick-release tab technology. 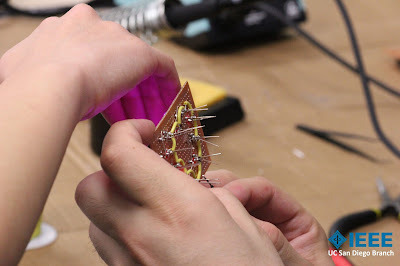 The 2012 team worked on a retail-ready prototype. Students tried various versions of a lid design before landing on one that would stay put. 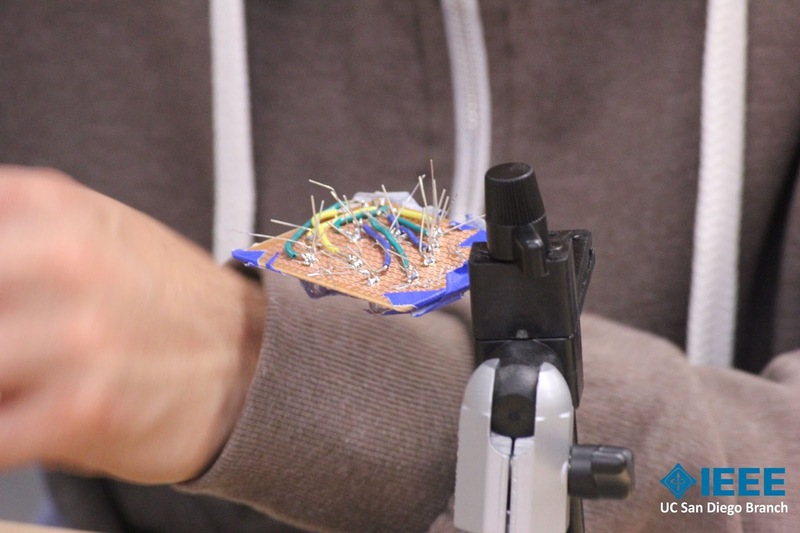 In all, Adi went through 11 rounds of 3D-printed prototypes. In addition to staying put while a toddler throws a tantrum, the Adi plate is also equipped with a quick-release tab that’s toddler-proof but easy to use for any adult. The plate has three different food compartments and a snap-on lid for adventures. The Adi plate is BPA-free, phthalate-free and PVC-free; made from safe materials that have been FDA-approved for use by young children; and will be manufactured in the United States.